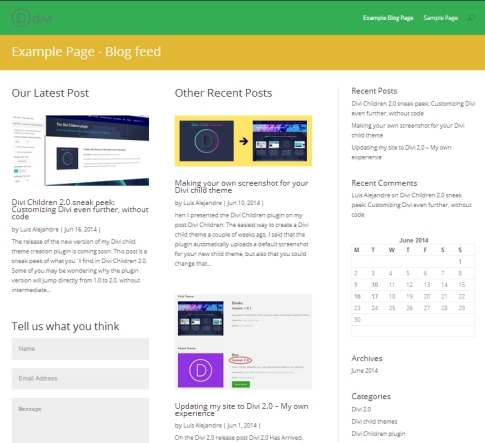 The release of the new version of my Divi child theme creation plugin is coming soon. This post is a sneak peek of what you´ll find in Divi Children 2.0. Some of you may be wondering why the plugin version will jump directly from 1.0 to 2.0, without intermediate steps. But if you keep reading this post, you´ll understand why: I´m taking the Divi Children plugin to a higher level. No WordPress theme, not even one as flexible as Divi, comes with an infinite set of options (nor it should, by the way). One of the key points about Divi is its flexibility. However, there is a risk involved in a theme becoming very popular: so many sites are using the same theme out there that most of them could be looking pretty much the same. This happens because any combination of the available options always carries some things in common. I mean, the number of possible combinations can be infinite, but the elements being combined will almost always resemble those used in other websites that are using the same theme. So how to make your site look different? By customizing it, of course. Now you can accomplish that either by directly customizing Divi (which is always a bad idea because of the theme updates) or by means of a child theme. In any case, you would need to add your own code if you want to get a different look and feel for your site. And here is where Divi Children 2.0 comes to help you: The plugin will allow you to further customize Divi directly from the Theme Customizer, among other things. So Divi Children will make Divi an even more flexible WordPress theme than it already is. What this means is that, by increasing the number of available customization options, you will be able to develop a new site that looks different without having to write any code at all. Or, if you want to do more drastic customizations on your own, at least part of the job will be done for you and you´ll have to develop less new code. How would you like that? Some of you might have found strange that I cared to develop a plugin intended to automatically create a child theme, but just for one and only one possible parent theme: Divi. Why not make a more flexible plugin, so it could make child themes for any parent theme? In the first place, there are several good plugins out there that will create a child theme for any parent theme. 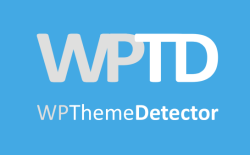 I´ve talked about them and I´ve recommended them in my Child Theme Tutorial Series at the WPThemeDetector Blog. But the main reason is not only that one: When I decided to develop Divi Children, I had in mind to include within the child themes created by the plugin a lot of functionalities which only make sense for that particular parent theme! Take note of some things I would like to be different in Divi, as a Divi user. Try to spot things that, though being good as they are right now in Divi, could make different websites look alike. Develop customizing alternatives that could be included in a child theme to overcome both categories above. Decide which of them would become the first new features to be released. Test them on a Divi child theme. 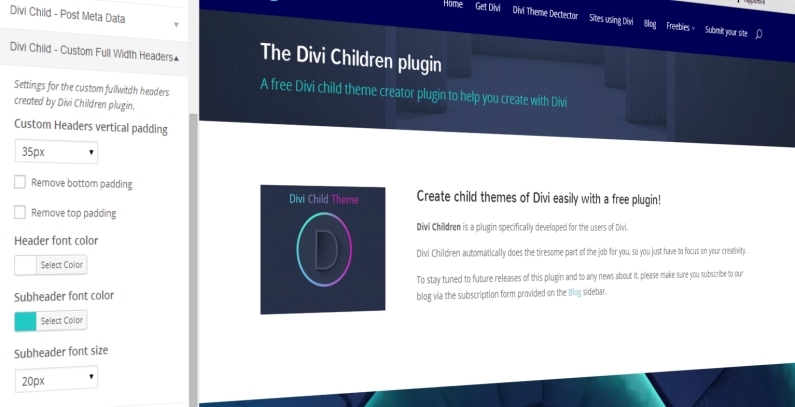 And finally, include all that new code as part of the child themes to be created by the Divi Children plugin. The first step towards the new direction of Divi Children has been to support the Theme Customizer for the new features included in every child theme to be created by the plugin. That way you will not only get some new features not available in the Divi parent theme, but you will also get the potential for customizing them in the best possible manner (by watching the changes live with the Customizer). Other upcoming options will take advantage of the Divi modules ability to include your own custom CSS IDs or classes. What am I doing about this? I´m creating some custom selectors that you´ll only have to copy and paste on your Divi modules, and for which the appropriate settings will be available in the Theme Customizer as well. The plugin itself will show little changes over the current 1.0 version. For example, a new option for including your name and link on child theme footers will be included. But the real power of this version 2.0 will reside in the code that will be automatically added to every child theme created by Divi Children. All that code is being developed to make customizing Divi a breeze. For instance, have you noticed the way post meta data is being displayed on this blog now? I didn´t like the way Divi displays author, date, categories and comments on posts, so I changed it to a new arrangement using icons, and I also added tags at the end of each post. Do you like it? If you do, I´ve got goods news for you: for every child theme created with Divi Children 2.0 you´re going to be able to choose between the Divi default meta data presentation or one with icons like I´m using here. Not only that, you´re even going to be able to customize the colors of the icons or to choose whether you want to show tags or not, directly from the Theme Customizer! And there will be some other new setting sections available in the Theme Customizer for your child themes, so stay tuned because very soon you´ll be ready for customizing Divi even further without writting a single line of code. By the way, I´ve just sent you an email regarding the questions you asked through my contact page. Pelase check your inbox. Luis – these look like great options – I *love* the icons and the tags! I’d wanted to change some things in the way single posts dealt with the meta, the featured image, and the post title – here’s a link: http://thepandorasbox.org/nelm/image-manipulation/ (this is sooo not ready for viewing, btw) to what the support at ET helped me do. Options to move those around would be awesome. The ability to change the size and position of the featured image alone would be golden. One things I’ve been really wanting was to be able to have one module displaying the most recent post, then a module below or to the side with the other most recent posts, but skipping the first one so it’s not listed twice. Themify’s builder has that option, but ET’s doesn’t. That might be too much to hope for (way beyond my skillset) but something to think about. Thanks for your great work! I’m excited for 2.0! I´m glad you like what´s coming on Divi Children 2.0. Thank you for stopping by and for telling us about your areas of interest for customizing Divi. I welcome any idea, and all of them will be considered when thinking of new features. Your site is looking great even though you haven´t finished it yet. I love the way you´ve customized the upper part of posts (title+image+meta)! One things I’ve been really wanting was to be able to have one module displaying the most recent post, then a module below or to the side with the other most recent posts, but skipping the first one so it’s not listed twice. How would you like that option to be available for every child theme created by Divi Children? OMG Luis – that would be awesome! 😀 😀 😀 …and lol my name is Nicole. I’ve been trying out different “pen names” because I teach college history and don’t really want students asking me about my writing in class. I just discovered, however, that if I Google “NE Montgomery” I get addresses, so that will probably change. Sigh. I´m sending you an email with code and instructions to make that work, so you won´t have to wait for the next release of the plugin in case you want to use it now. I just signed on with ET a few days ago, am still exploring all the possibilities, and look forward to building a new site using Divi. I’m comfortable using child themes via a couple previous sites I’ve customized in significant ways. I’ve installed Divi Children 1.0, and appreciate its convenience, along with all the amazing possibilities I am still discovering in Divi itself. I look forward to Divi Children 2.0 and what you are saying it will include. You seem to exemplify all the enthusiasm I keep seeing around Divi and ET, and I really appreciate all the help that seems to be available, including yours here in these ways that you offer. I just downloaded Divi 2.0 and plan to change my actual ET theme site into this awesome new theme. I am not a web designer but I was able to make my last site and look forwards to try Divi! I hope you like the plugin as it is now. But you will love Divi Children version 2.0 much better, since it will allow you to customize many things without a single line of code. Meanwhile, enjoy your site development with Divi! what i see it’s awesome…great work! To tell you the truth, I had planned to release Divi Children 2.0 right one month after I published this post (which means in July 16th, just two days from now). All the code needed for the features I´m talking about on this post is ready, and I´ve just been doing final testing for several days. But then I realized about something I didn´t want to leave out of this release: the ability to update your existing child theme created by older versions of Divi Children to include all the awesome new features that will be brought by Divi Children 2.0 for customizing Divi through your child themes. I´m getting that part ready now but I don´t have much spare time during these days, so there will be a little delay. But since you´re asking for an ETA, and being conservative, I would say Divi Children 2.0 will be released in about two weeks from now. Divi Children 2.0 will come with a feature called Custom Rows Section. By using a predefined CSS class you will be able to customize not only the section top and bottom padding but also the margin and padding between rows, and also add a background to rows with customizable opacity. And even better news: you will be able to do all that using the WordPress Customizer. Plus even better than better news: you will be able to do that differently for different sections on your site, because your child theme functions (what I´ve called the Divi Children Engine) will create as many of those predefined classes as you like, just by clicking a “Add New” button that will be available in your admin area side by side with your Divi Page Builder. All those features are already developed and tested, so they will be included for sure within the Divi Children 2.0 release. Are you nearing a release date for Divi Children 2.0? 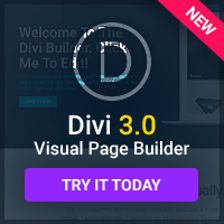 I’m holding back on a new Divi site because I’d like to use your new plugin version with all the new goodies. Really nearing: Divi Children 2.0 is already finished. I´m doing final general testing today and, if nothing goes wrong, it will be released next Wednesday, August 13. It is scheduled for this week anyway. Brilliant news Luis, if you want a guinea pig for testing on a new install of Divi 2.1 I’m more than happy to help?